Englund’s fine & custom apparel for men, combined with legendary service, ensures the perfect fit and finish, even if you are “hard to fit”. Since 1964, we have relied on classic favorites and trends reflecting good taste. 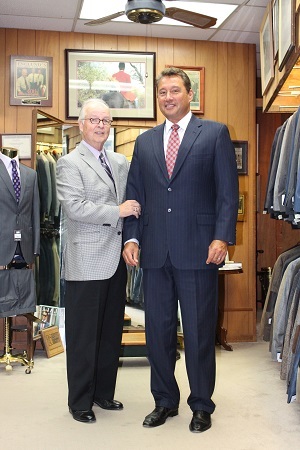 The Englund’s customer is a friend for life, returning time and again to refresh a wardrobe or take advantage of custom made suits, sport coats, top coats and trousers, and quality off-the-rack apparel, as well as expert tailoring services. 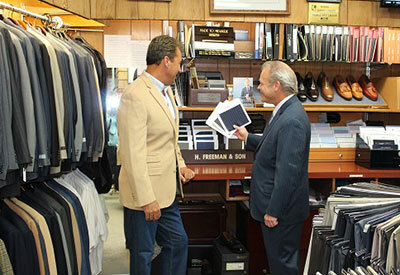 Whether at our store or from the convenience of your home or office, our professional custom clothiers will guide your selection of beautiful fabrics, textures and patterns from more than 500 choices. Precise measurements are taken and the garment is designed and produced just for you in 2 – 4 weeks. Traditional good looks and superior materials withstand fashion whims, incorporating all natural fibers and strict tailoring requirements for a garment that moves with you and lasts beautifully throughout all the important stages of your life. 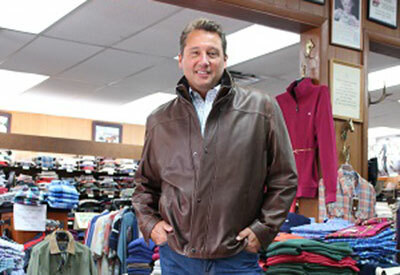 All the clothing and accessories you need, from sweaters & knits to jeans, khakis and outerwear. Shouldn’t your workday wardrobe reflect your professional status? you in style, from head to toe. Site By: Super Cool Sites, Inc.